Cigarettes | Could they soon be £20 a pack? The all-party group stated that up to an extra £100m could potentially be spent on helping people kick smoking, which is at the root of 80,000 premature deaths annually, but ironically, is actually cheaper, in real terms, that it was in the 1960s. MPs are unified in seeing George Osborne hike up tobacco tax to a huge level, an increase that could see cigarettes in the UK heading for a £20 a pack price tag. Members of Parliament are requesting that Mr Osborne up the duty escalator on cigarettes over the next half a decade from 2% to 5% in time for next month’s spending review. As a result, there would be an increase of 35p on a £7 pack in the 2016 Budget, with a 50p addition to £10 brands. This it would mean smokers coughing up 21p more than the 14p rise Mr Osborne has already pledged. Therefore, allowing for inflation, cigarettes would reach £20 by the 2020s. Deborah Arnott, Action on Smoking and Health boss said: “You would be pricing out of the market a product which kills. The report also calls for a 15% escalator for hand-rolled cigarettes in order to bring prices into line with the manufactured ones. 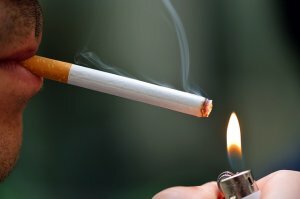 ASH said higher prices are the best way to stop young people starting to smoke and encourage low income earners to stop. Last year 51% of the 450,000 smokers who vowed to quit managed to do so successfully. So if you are keen to join the ever-increasing number of people who are reaching their goal of kicking the habit with the help of our e cigarettes, and e refills, then why not head over to our store and see our range today?